Meet the man who saved the Sun-times – and perhaps journalism in Chicago. On Wednesday, former Chicago Alderman Edwin Eisendrath and a group of investors won out over Chicago Tribune owner tronc to buy the Chicago Sun-Times and the Chicago Reader from Wrapports for a disclosed price. Among the investors identified include the Chicago Federation Of Labor, several other labor groups, and restructuring expert Bill Brandt. Other investors, revealed Thursday include recently retired news anchor Linda Yu; SEIU, and Eisendrath’s brother John, a TV producer and writer whose credits include Beverly Hills 90210, Alias, and most recently, The Blacklist. More information on the purchase was divulged Thursday afternoon in a press conference. Chicago Federation of Labor President Jorge Ramirez said the unions would not interfere with content, including news reporting and endorsing political candidates. The company is moving to new digs in the West Loop where Answers Media is located – another company recently acquired by Eisendrath. The move is expected to be completed by late fall when the Sun-Times lease at a River North office building is up. Jim Kirk, who further explained the deal on WTTW’s Chicago Tonight Thursday, is being retained as Editor-In-Chief. The transaction won the blessing of the Department Of Justice’s Anti-Trust division, who ordered Wrapports to find more buyers for the beleaguered paper as the company proposed to sell it to tronc, owner of the Chicago Tribune. In recent days, Wrapports threatened to shut the paper if the Eisendrath bid didn’t go through and the DOJ would not let tronc purchase the publication. Eisendrath had until July 10 to secure $11 million to cover operating expenses. Had Wrapports sold the paper to tronc and approved the move, it would have left Chicago with just one owner running two outfits, despite Wrapports’ promises it would keep the papers’ content separate. 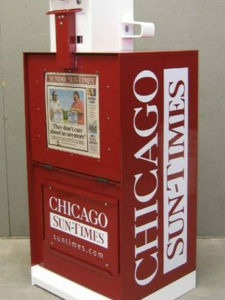 The deal was opposed by the Chicago News Guild, a union for the Sun-Times and several anti-media consolidation groups. In addition, tronc will continue to honor the 25-year agreement to print and distribute the Sun-times. The acquisition of the paper by Eisendrath and his investment group is certainly a victory for the city and the Chicago market in general, at the time when the free press is being scrutinized and curtailed. Eisendrath is a former Chicago Alderman who headed the 43rd Ward covering the North Side Lincoln Park neighborhood between 1987 and 1993. He made an unsuccessful run for Governor in 2006, when he lost to Rod Blagoveich in the Democratic Primary. 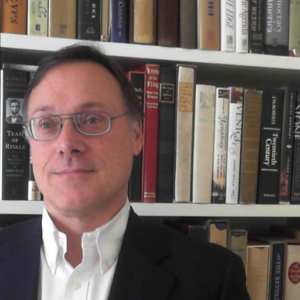 Earlier, Eisendrath ran an unsuccessful bid for Congress. Since, Eisendrath has become a successful businessman, as managing partner of an Ohio-based enterprise development company. There is no doubt the direction of the paper is to appeal to working-class Democrats – appealing to the anti-Trump crowd, which there is plenty to go around in the Chicago area. But in an era where newspapers continue to losing ground to other media and the median age of those reading one continues to grow, the new Sun-Times owners have their work cut out for them if they want to turn a profit.